This is an adapter board for the FTDI FT232RL USB to serial IC. The pinout of this board matches the FTDI cable to work with official Arduino and Arduino compatible boards. 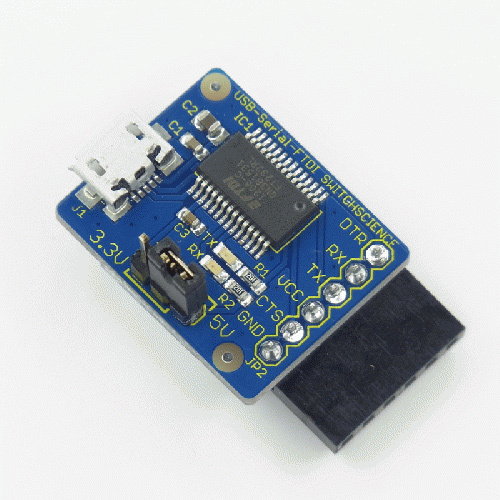 This board has the changeover switch from 5V to 3.3V. Using the short jumper pin (2.54 mm pitch), you can chose the voltage.